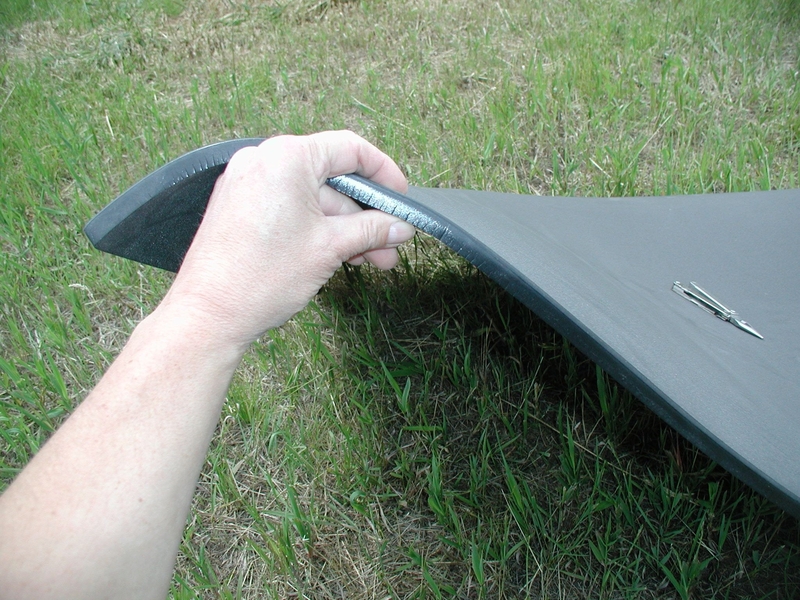 A new batch of Plastazote pads in 1/2″ thickness are coming in soon. Very High R value for the weight and comes in double wide sizes for couples or hammock sleepers. Plastazote Foam. Density 24. Black. Winter Thickness of 1/2″. Waterproof to a Hydrostatic Head of 3500 mm. R value of 2. Without dimples or ridges that collect snow in your snow shelter or rain under your tarp and soak your sleeping bag. Free Shipping in the USA. Three sizes from two person width to torso size. —– Two person size 40x60x1/2″ –weight 15 ounces One person size 20x60x1/2″ –weight 7.5 ounces Torso size 20x40x1/2″ –weight 5 ounces Available in the USA only due to shipping costs on bulky items.